For two months, the ship cruised in search of enemy vessels. On December 29, while off the coast of Brazil, the masthead lookout sighted two ships on the horizon. Constitution stood towards them, and the larger of the two tacked toward the Americans. HMS Java, a 38-gun frigate (but mounting 47) commanded by Captain Henry Lambert, maneuvered to close with Constitution. Captain Lambert decided to board the American frigate, and aimed Java’s shattered bow at Constitution. As the two ships neared, American shot toppled Java’s foremast and the boarding attempt failed. Soon after, Captain Lambert received a mortal wound in the shoulder. The Americans fired several more broadsides and then stood off out of range to repair damaged rigging. On Java, the devastation was complete. Captain John Marshall, travelling as a passenger to India, recalled the ship’s condition: “Our three masts & bowsprit were gone, the greater part of our Guns covered, & consequently rendered useless from the fallen masts laying on them, some Guns dismounted & otherwise destroyed with 23 killed & 101 wounded, our Ship often on fire, & a considerable quantity of water in the hold from Shot holes, with the Hull dreadfully shattered.” An hour later Constitution swept back to her wallowing foe and took up a raking position off her bow. First Lt. Henry Ducie Chads surrendered the ship. Constitution had won her second victory of the war. the US Navy had taken three frigates from the Royal Navy (HMS Guerriere, Macedonian, and Java). When the news reached England, the Admiralty took steps to insure that no more of their frigates would fall victim to the Americans. 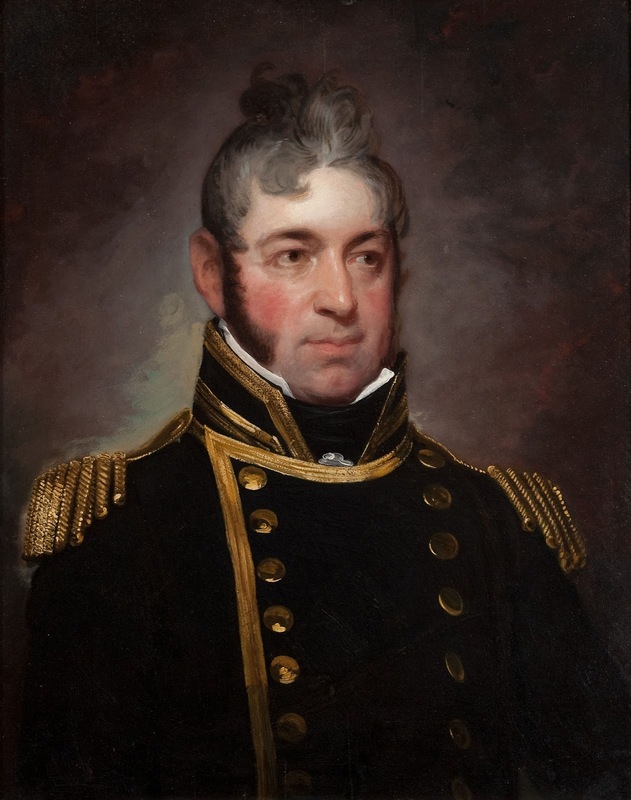 In July 1813 they issued orders forbidding their captains from engaging American frigates one on one.